I don't cook potatoes that often as my kids are not big fans of it. 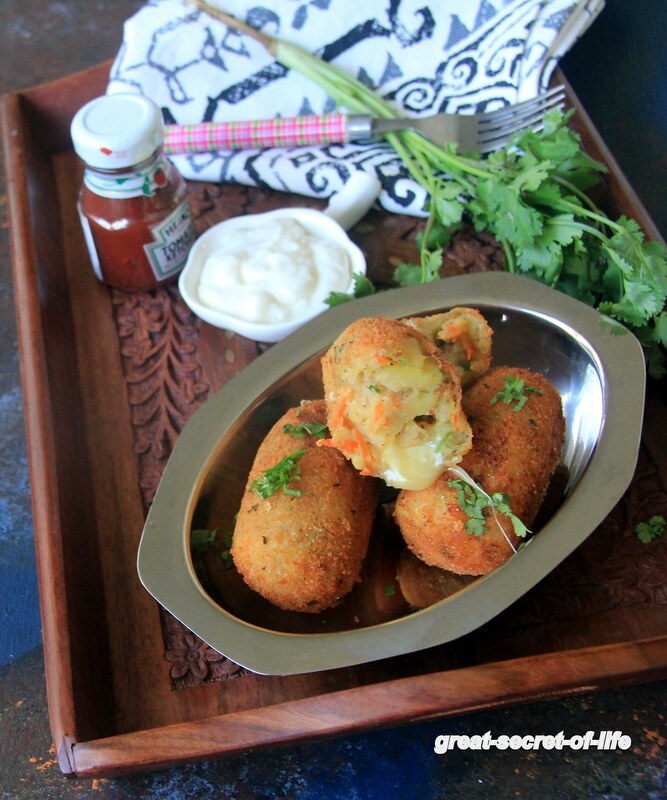 However after corn cheese balls / cheese corn balls kids like potato cheese combo. 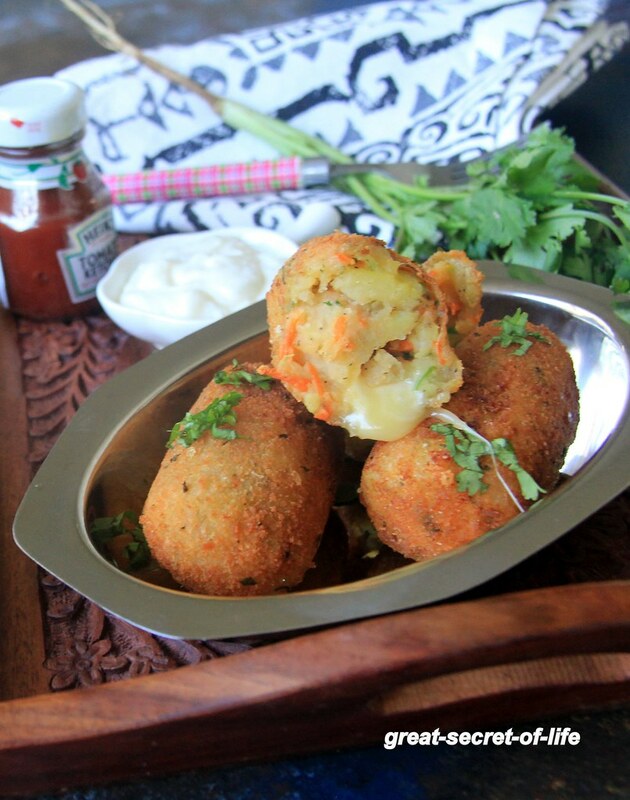 I wanted to try this potato croquettes for some time. This is very simple after school snacks or party starters. This is something you can prepare and store it in the freezer and cook when the guests are home or kids are back from school. I have used Italian mixed herb in it you can add any dry spices like oregano, dill or rosemary. Combination of green chilies, mixed herb and pepper powder really gives great flavor to this dish. I have used carrot in this but you can add your favorite vegetables. Pressure cook the potato with salt for 2 whistles or cook till you can mash it. Peel the skin. Mash it. Grate the Carrot. In a bowl take the mashed potato, carrot, salt, pepper, mixed Italian herb, coriander leaves. Mix water to 2 tablespoons of flour to make a paste. 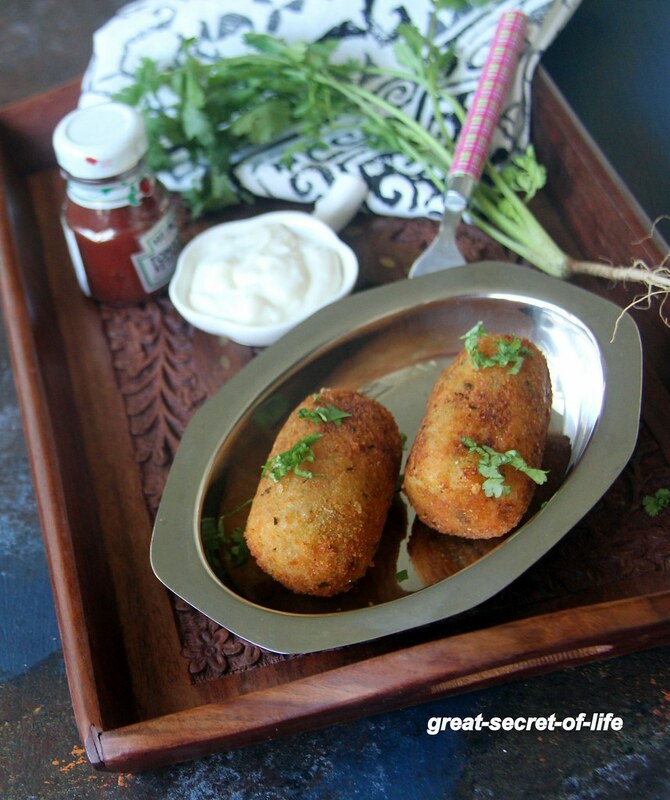 Roll the potato croquettes into flour and dip it in paste. Roll it with bread crumbs. Arrange it in a plate and keep it in the freezer till you need it.